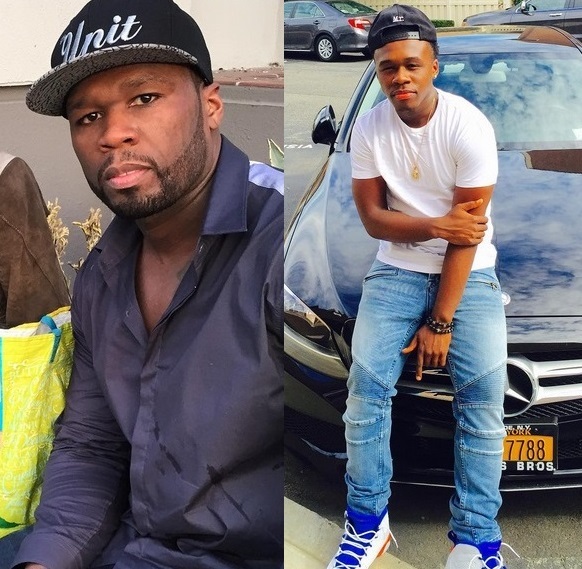 *50 Cent’s son Marquise Jackson has followed his father into the rap game…likely to 50’s chagrin. On the song, 50’s first-born son, raps about his father, “Lost my pops, he’s still alive.” Other lyrics on the track, which was inspired by Dr. Dre’s “What’s the Difference,” address the demise of their relationship. “What a shame, what a shame, look what we became,” he raps. Adding insult to injury, Marquise intentionally released “Different” on the day of “Get Rich or Die Tryin”s” 14th anniversary. “It completely went south when I was probably like 10 or 11. He wasn’t really around enough. It kind of dwindled down as time went on and certain events happened. For me, I just started feeling differently about him because growing up, my dad was my superhero. He’s on television, he does this, he does this, he would take me to school. It was like having a father who’s Superman, more or less,” Marquise said.